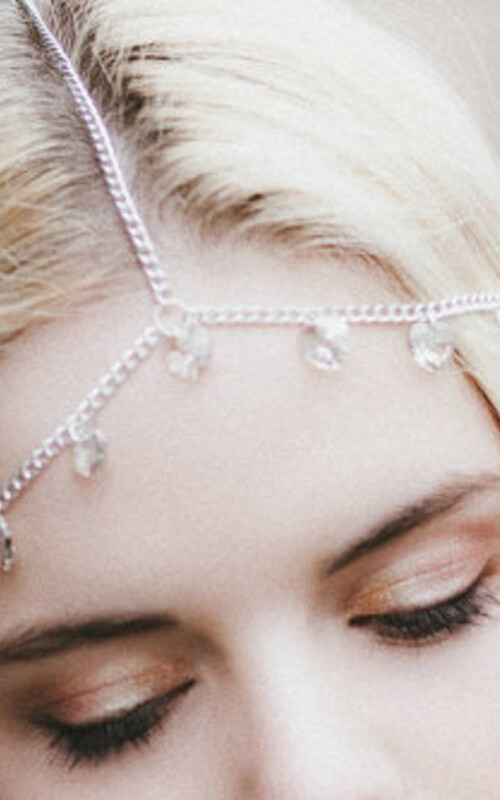 This silver heart headpiece is so enchanting! 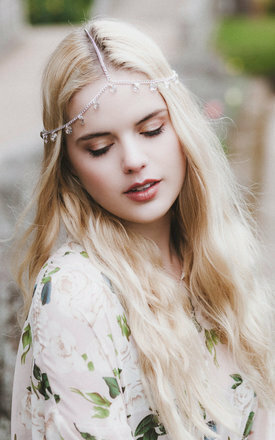 So dreamy and stunning for a wedding for either the bride or bridesmaid. This beautiful head chain is made from a silver chain that goes the whole way around your head, and then a chain in the middle to go over your head. It has an adjustable clasp at the back so it is a one size fits all and you may adjust the style to your needs. Hanging from the chain are pretty silver crystal hearts that measure roughly 10mm. Beauxoxo hair accessories are proud to be one-of-a-kind treasures, handmade by myself with true love and care in my little Dorset studio. Due to the handmade nature of my items and individual crafting of each one, every single creation is unique it its own special way. Just like you! All of my hair accessories are made in a pet-free, and smoke-free environment.